Web Marketing With Color is an eBook by web "veteran" Antone Roundy. In it, he'll teach you how to create attractive color schemes that help you quickly communicate the message of your website to your visitors. 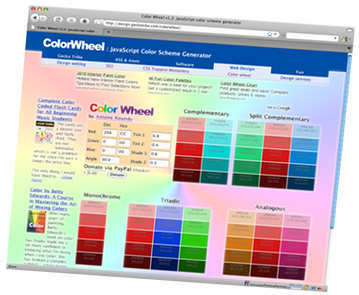 Why choosing the right color scheme is so important in web design. How to apply color psychology to your marketing.